Our Royal College of Midwives accredited training for multidisciplinary groups develops your knowledge, insight and skills so you feel confident in providing high quality, sensitive care to parents when a baby dies. 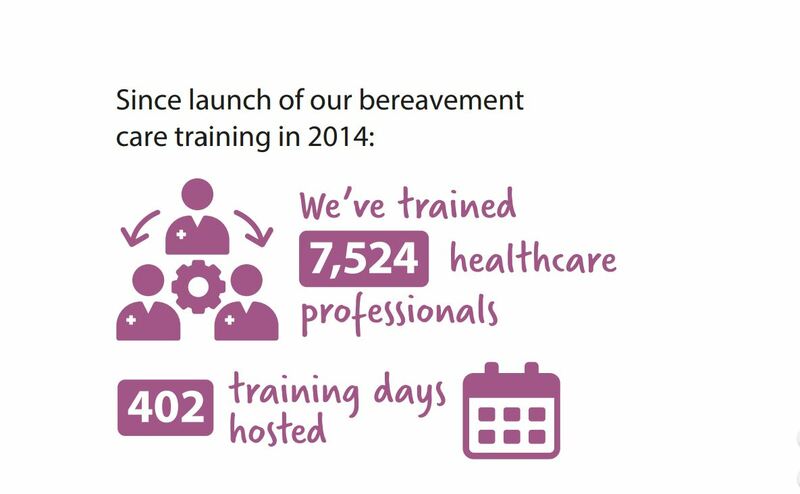 This workshop is designed for all professionals who provide care for parents when a baby dies including student midwives, midwives, obstetricians, neonatal staff, gynaecology staff, sonographers, GP’s, health visitors and chaplains. The training is highly interactive and skills-based. Each workshop has a maximum capacity of 20 participants. Lunch and refreshments are provided on the day. These courses have limited availability and book quickly on a first come, first served basis. Please book early to avoid disappointment. More training workshop dates for 2019 will be announced soon. Check back for more details. Please see individual workshops for pricing. We understand that it can be extremely upsetting to witness the death of a baby first-hand. That’s why our support services are for you too. Our Supporting Midwives, Supporting Parents leaflet is a useful starting point.